Beautifull larg studio, Hayarkon st.
Property 9: Beautifull larg studio, Hayarkon st.
1br. beautifull , Hayarkon st.
Property 11: 1br. beautifull , Hayarkon st. 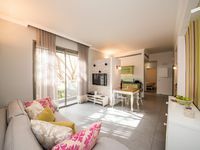 Cozy Flat in TLV Center 10min from the Beaches! Property 23: Cozy Flat in TLV Center 10min from the Beaches! 2 Bedrooms (Modern) Apartment - 231 Dizengoff Street. Property 24: 2 Bedrooms (Modern) Apartment - 231 Dizengoff Street. 2 Bedrooms (Charming) Apartment - 3 Amdan Street. Property 25: 2 Bedrooms (Charming) Apartment - 3 Amdan Street. 2 Bedrooms (Homey) Apartment - 22 Amsterdam Street. Property 27: 2 Bedrooms (Homey) Apartment - 22 Amsterdam Street. 1 Bedrooms (Amazing) Apartment - 14 Ruth Street. Property 30: 1 Bedrooms (Amazing) Apartment - 14 Ruth Street. 1 Bedrooms (Amazing) Apartment - 278 Dizengoff Street. Property 33: 1 Bedrooms (Amazing) Apartment - 278 Dizengoff Street. 2 Bedrooms (Charming) Apartment - 2 Ha-Gil'ad Street. Property 39: 2 Bedrooms (Charming) Apartment - 2 Ha-Gil'ad Street. 2 Bedrooms (Amazing) Apartment - 77 Nachum Sokolov Street. Property 41: 2 Bedrooms (Amazing) Apartment - 77 Nachum Sokolov Street. Supreme 2Bdrm & 2Bath - 2 min walk to the beach! Property 45: Supreme 2Bdrm & 2Bath - 2 min walk to the beach! 2 Bedrooms (Beautiful) Apartment - 7 - 204 Ben Yehuda Street. Property 46: 2 Bedrooms (Beautiful) Apartment - 7 - 204 Ben Yehuda Street. 2 Bedrooms (Modern) Apartment - 281 Hayarkon Street. Property 50: 2 Bedrooms (Modern) Apartment - 281 Hayarkon Street. Outstanding hosts who go above and beyond! Beautiful and clean apt with attention to all details. 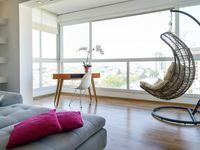 My wife and I have stayed in numerous apartments around Tel Aviv with our children and this was by far our best experience. The apartment was in the perfect location for us, and it was well equipped for a family with little children. Our hosts, Elie and Carole were soooo gracious in their preparation of the apt, as well as their time while we were there. They provided us with a lot of great information about the neighborhood, places to eat and visit around TLV. Upon arrival they had stocked the kitchen with basic and thoughtful elements, cookies, milk, butter, etc. The apt was in great shape, well maintained and as advertised. Just a really wonderful experience for our family all the way around. We will certainly be back!! The Rainbow Apartment couldn't have been in a better location - the beach, good restaurants, supermarkets, bus stop we're all within a block or so. It is at the corner of Ben Yehuda and a block from Dizengoff. The apartment itself was well-equipped and comfortable - we were there for 3 weeks and really appreciated that there was a large refrigerator with a freezer, a two-burner range, a toaster oven and microwave, a dishwasher and a clothes washer and dryer. Gili and his family were very welcoming and helpful. There was not only wine and chocolate when we arrived but milk and coffee, etc for breakfast - and his father even brought some decaf coffee when I mentioned that I didn't see it in the supermarket ( it was in other supermarkets). There was a local cell phone and Gili was always available for questions and was most helpful in booking taxis. We highly recommend the Rainbow Apartment - we couldn't have had a better experience and would definitely go back to the Rainbow Apartment again.